Oxfam America has teamed up with eBay once again to benefit Oxfam’s poverty relief and advocacy efforts around the world. 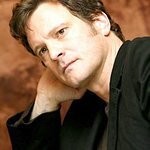 From November 16 through November 23, fans can bid on the chance to meet Academy Award Winner and Oxfam Ambassador Colin Firth, and attend the Hollywood premiere of his new film, “Tinker, Tailor, Soldier, Spy!,” a Focus Features’ film based on the bestselling novel by John le Carre. The charity auction is featured here through November 23. One hundred percent of the proceeds will benefit Oxfam America.